Be the first to share your favorite memory, photo or story of Freda . This memorial page is dedicated for family, friends and future generations to celebrate the life of their loved one. Freda Isaacs was born March 19, 1935 in Jackson County and departed this life Wednesday, November 21, 2018 at her residence in McKee, being 83 years of age. She was the daughter of the late Dorsey & Laura (Mays ) Flannery. Freda is survived by a son, Steve Isaacs of McKee; daughter, Marsha Turner and her husband Jerry of Tyner and by six sisters, Madeline Marcum of McKee, Marie Young of Annville, Retha Ernest of Williamstown, Jessie Fox of Williamsburg, OH, Betty Young of Hamilton, OH and Julie Brandenburg of Amelia, OH. Freda was blessed with three grandchildren, Brian and his wife Mandy, Amy and her fiancé Bug and Tina and also by five great grandchildren, Sadie, Jaxon, Abby, Brayvon & Bentley. In addition to her parents, Freda was also preceded in death by her husband, Lucian Isaacs; son, Damon Lucian Isaacs; sister, Gladys Hurst and by four brothers, Denny, Junior, Clayton and Carlos Flannery. 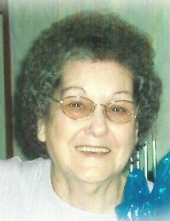 Freda was a member of the Crestmont Baptist Church. "Email Address" would like to share the life celebration of Freda Isaacs. Click on the "link" to go to share a favorite memory or leave a condolence message for the family.